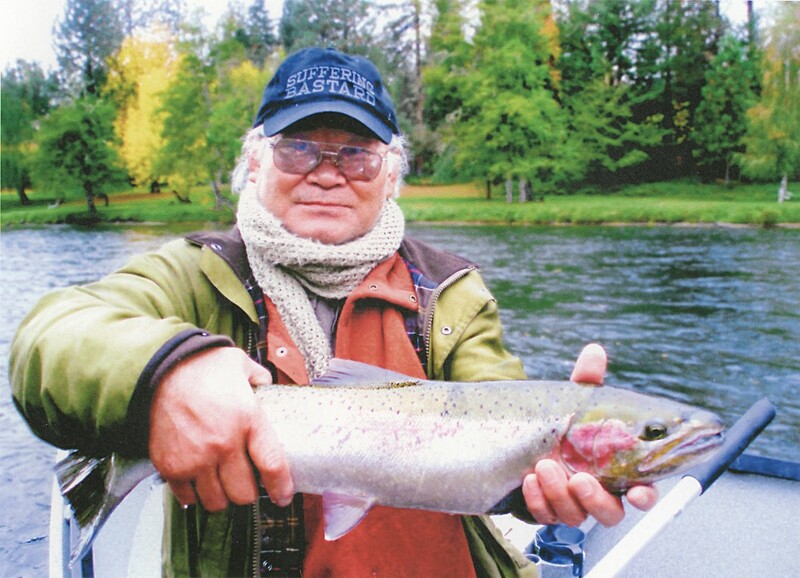 Chiba Sensei with a steelhead on the Rogue River in Oregon, 2007. This June 5th will mark the first anniversary of Chiba Sensei’s death. It is customary in Japan to privately or publicly honor someone’s life on the anniversary of their death. For example, on April 26th Aikidoka all over the world hold memorial practices or other events in memory of O-Sensei, who died on that date in 1969. How we choose to do this in our lives and within our own dojos varies, there being no one correct way. Some Birankai community members have requested guidance on how to appropriately observe the anniversary of our teacher’s passing for this first year and in the years to come. What follows is my effort to answer that request and is purely my personal approach and in no way represents any official organizational recommendations to others. A day or two after Sensei’s death a friend asked me how I was, and I replied that I was mourning the death of my teacher. He offered his condolences and told me that in his family they believed that each of us dies three deaths: the first death being when our heart stops, the second when we are buried and the third when our name is spoken for the last time. I think the purpose of cultural forms of remembrance are to keep alive in our hearts and minds our family members, teachers and friends and to give voice to their names and celebrate their lives. For us, the community of Birankai, every time we practice, bowing to the shomen and training sincerely, we honor our teacher and his teachers. Whatever choices we make to remember Chiba Sensei on June 5th this year and beyond, the most important thing is that we do them in an honest and heartfelt way. 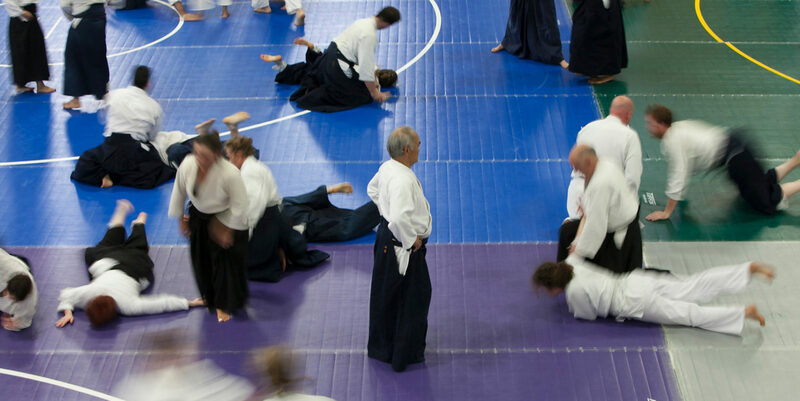 Chiba Sensei emphasized the importance of the teacher-student relationship as the vehicle for transmitting Aikido from person to person, generation to generation. He often used the Japanese expression I Shin Den Shin, which is commonly translated as “Heart to Heart Transmission.” Sensei also spoke of it as the development of a “tacit understanding” between two individuals, an understanding that transcends language. Whether we choose to simply have a special class, light a candle and offer incense, sit zazen, chant the Heart Sutra, offer prayers in the manner of our personal spiritual tradition, all of or none of these, what will be most important is that we do so from the heart. Amongst other things, I plan to go fishing. To get everyone pumped for camp, we’re going to be posting a new video (or two or three) every day until the mats are rolled out at St. John’s University in Queens. The clips will go up on the BiranOnline channel on Youtube – subscribe so you don’t miss any. Today I’m saluting our long-suffering camp director, Robert Savoca of Brooklyn Aikikai. In addition to running a thriving dojo and taking care of his family, Savoca Sensei is dealing with the swarm of details that drive camp directors crazy. These newly posted video clips highlight Savoca Sensei’s commitment to teaching uke as well as nage. I’m also reposting this compilation video I put together recently of one of Chiba Sensei’s classes from our last East Coast Birankai Summer Camp, 2012 in Bronxville, N.Y. First you see Chiba Sensei demonstrating techniques, then various Birankai instructors demonstrating. Many of those teachers will be at this year’s camp — don’t miss it!